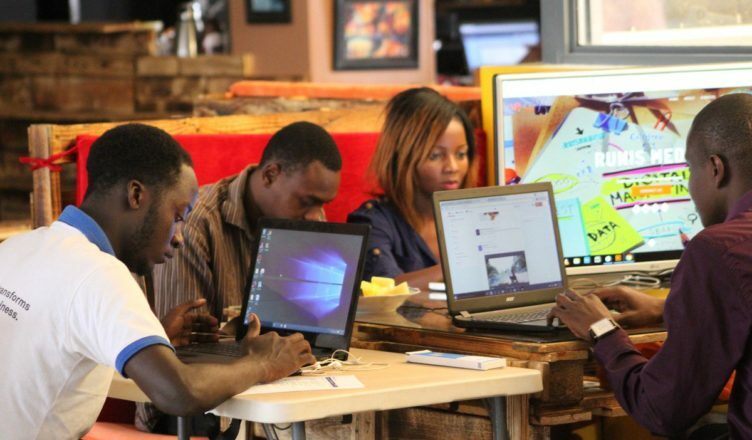 Uganda’s tech and start up scene has evolved and continues to evolve. This has been the work of very many stakeholders. One of the ‘newest kids on the block’ is The Innovation Village co-founded by CK Japheth. The Innovation Village is a Launchpad for innovators that prides itself in deliberately growing innovation by creating a space where assumptions are challenged and status quo questioned. Uganda has been named “the most entrepreneurial country in the world”, The Innovation Village offers the next step to cement this recognition. As a platform the village will unlock added value and will be the difference for various small medium start-ups at a time where funding has been identified as an inhibitor to creative industry. Japheth had been part of the tech & start up eco system even before he started The Innovation Village. So it was easy to strike up a conversation on what he deems as the important stuff & things to take note of as regards Digital Technology et al in the country. What is the state of ‘digital technology’ in Uganda according to you? I think Digital Technology is just getting started in Uganda. And it is also too early. We are living and experiencing the promise and excitement it brings but are yet to reap from it. Being the in thing, it is driving the trends in the country but leaving a number of missed opportunities behind. Whether you are a startup or stakeholder, it is fashionable to have something going. Both startups & industry are victims. The words “there’s an app for that” are responsible for so many deaths & the mirage of productiveness. You have startups building something because they think, people will need this. They ask; how cant people see that they need this? You have industry panicking for the fear of being left behind and coming up with something that creates the confidence that we are in this too without exploring the full capabilities of what they can actually do. The Innovation village is building a startup – industry accelerator where we drive connected conversations between stakeholders. Our mission is to facilitate challenge driven innovation such the trends are informed by current gaps or opportunities faced by public, private or civil sectors. Digital is certainly an advantage accelerator and perhaps the best chance to disruption for any of the above sectors. It presents new unexploited but better still even unimagined opportunities. The catch is to get it right and not do digital for digital’s sake. Has the rise of digital technology in the form of mobile development has increased the number of women participation in the local economy? If so – how, If not – why? It definitely has in so many ways. It has created platforms of self-expression and given the opportunity to women to choose where they want to play. We have seen women thought leaders, innovators and trend setters recognized for who they are and what they uniquely do. It has also created an opportunity for women to interact in the uniqueness that makes them special by coming together as one force for good. What current trends and notions of Africa’s digital landscape should we take note of? What are your key trend predictions for the next 5 years in Uganda? Mobile is still certainly central to Africa’s landscape. The craze is still with us. You just don’t know what will hit you next. 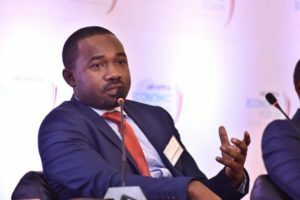 I believe the next trend for Uganda is to build a connected ecosystem. We have a number of independent players replicating solutions and struggling at different cycle stages of the same chain. Increasingly these will converge. Government will increasingly play a role given the youth challenge in desperation for solutions. Unfortunately over the next 5 years, I don’t see government playing this role the right way which can potentially leave us where over the period. The role played by digital will definitely increase. The impact and opportunities will open up new markets, “strange collaborations” that were thought impossible and new capital flows driven by the value being created. It is interesting to note that while this interview was done a while ago: the current Minister of ICT & National Guidance has hosted ‘stakeholder forums’ with thought leaders in the industry. Whether these discussions will yield substantial policy change [That would be so great] is something we are yet to see. But as Japheth has predicted – we will continue to see more of these platforms and spaces created – and they are an enabling factor for the Digital Technology ecosystem. I am an Afro-optimist so, I will keep hoping.